If you are the one person in Carroll County who has never heard of “Toops’” Troops annual pig roast / all day live music fest, you probably need to get out more. This all-day music extravaganza is the most difficult local event to find tickets for. Demand has outpaced the supply of tickets for this mini-Woodstock for years. Lucky attendees get free food and live music and entertainment all day and into the night, it’s the place to be. But who is behind this great party? He just happens to be one special guy and you can see him everywhere if you come. He’s on stage pumping up the bands, he’s in the crowd dancing with happy fans, you might see him behind the vendor stand promoting some worthy cause or maybe you will catch him as you leave, in the moonlit fields at the edge of the farm. One thing is for sure, everyone who comes will see him at some point in the day; guaranteed. The man whom you should thank for such a great day of music, food and fun is Steve Toop. He was 40 when he wrecked his motorcycle on his way home from a 2002 Memorial Day ride to honor this country’s veterans. He left behind a wife, a son and a legacy of charity and giving that speaks volumes about the man himself. 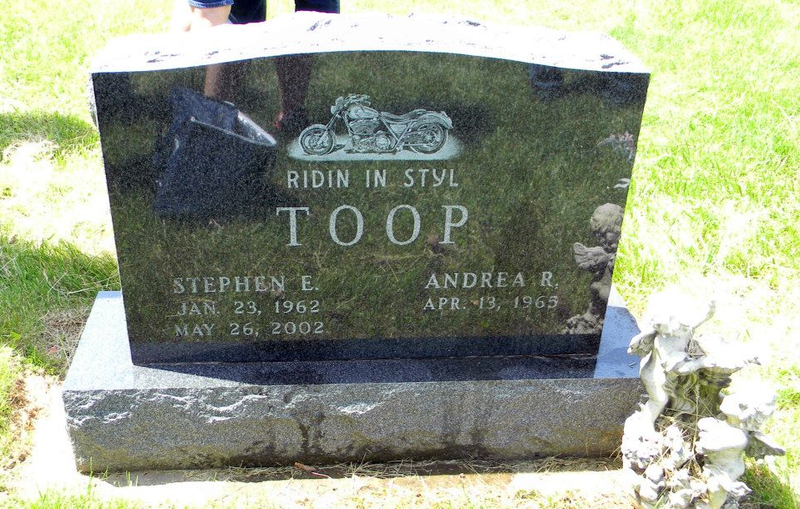 The first “Toops” was a small picnic in August 2002 – attended by maybe 100 friends and family according to David Greene; the current President of Toops Troops. His friends still ride today in his honor but they haven’t stopped there. Since 2004 Toops has organized charity events for all kinds of worthy causes including breast cancer, children with cancer and veterans. “Toops” by far is the biggest charity event; it has grown to 1400 attendees and raises over $30,000 each year for the Carroll County Community Foundation. 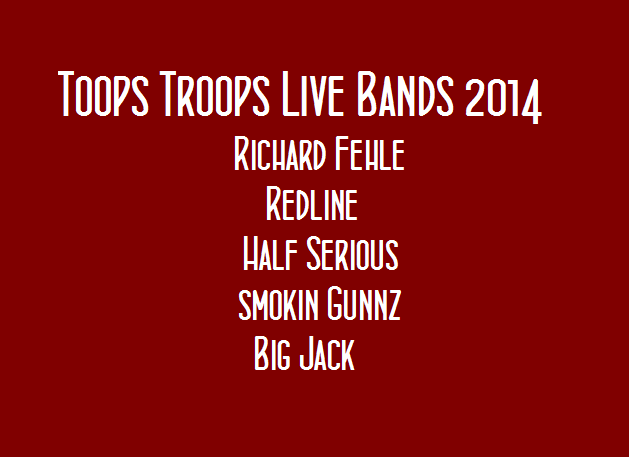 It is Steve Toops’ giving heart that has inspired the fun and charity of this great day of live music. Toops Troops and CCL hopes you remember this as you party this August 23rd. So yes, Steve Toop is everywhere when you come to “Toops,” he is why bands fight to play their hearts out at Toops for little to no money, he is the smile on everyone’s faces in the crowd, he is why vendors faithfully come to support the cause and yes, he is in that field somewhere. We just know it.